There are many resorts to choose from if you want to stay on the beach in the Philippines, but the beach resorts in Olongapo located in the province of Zambales are some of the best... and also some of the most affordable! For as little as 2,000 PHP (or around $40 USD) a night, you can enjoy staying at a beautiful, comfortable resort that overlooks the beautiful Baloy Long Beach. #1 - iCove Subic Hotel & Beach Resort: A distinguished abode that offers a most favorable corner where you can take a break from a wearisome and busy schedule. The resort has 30 grandiose rooms delicately designed to meet everyone's expectations - from the interiors to the room settings, bathrooms with top of the line amenities, hot and cold showers, toiletries, and a complimentary breakfast. #2 - Blue Rock Beach Resort: This resort has 39 well-furnished rooms with flat screen TVs, and an outdoor swimming pool where guests can take a dip to beat the summer heat. Guests can also just as easily unwind at the beach that lies within a short walking distance. Their restaurant is the absolute best in the area with culinary delicacies, from their buffet style dining or ala carte orders that you can devour Al Fresco. #3 - Mangrove Resort Hotel: A sophisticated and stylish hotel that offers utmost hospitality and eminent service to lavishly pamper visitors from all over. Their contemporary rooms are designed with state-of-the-art amenities, and stylish interiors, and some rooms have access to a common and private veranda where you can admire the magnanimous view of the ocean. 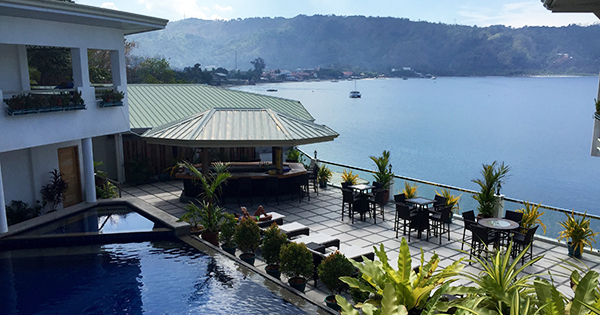 #4 - Subiza Beach Resort: The right choice for the visitors who are searching for a combination of charm, peace, quiet, and a convenient location from which to explore Olongapo’s emerald-blue waters and nature. It is an affordable and comfortable hotel situated along the shorelines with a hotel staff that offers an attentive, personalized service. #5 - Wild Orchid Beach Resort: This 83-room resort has a lush tropical garden setting surrounding a huge pool that makes it an ideal venuse for outdoor parties. They also have an in-house gym, air conditioning tavern with live sports streaming, beachside bar, Fishbone Cafe, spacious and luxurious rooms. They also have a conference room perfect for off-site seminars, weddings, meetings or parties with full service catering.